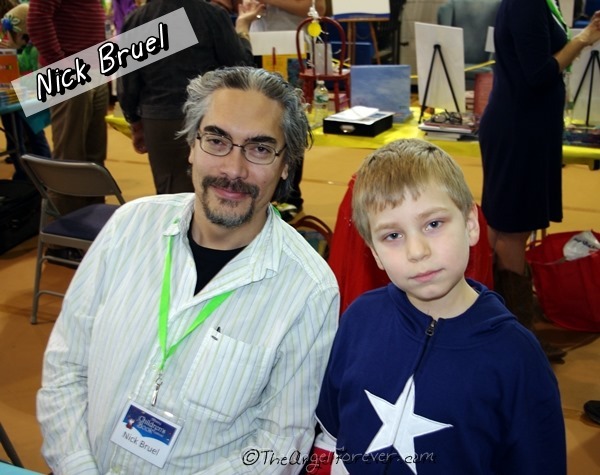 Over the weekend, TechyDad and I took the boys to The Albany Children’s Book Festival. The sixth annual event was hosted by The Albany Academies and included over fifty authors and illustrators. Last time we went to the event, we had an amazing experience. We met new talented people and were able to say hello to familiar faces from books that we love. When we told the boys about the event taking place in November, they were beyond excited. 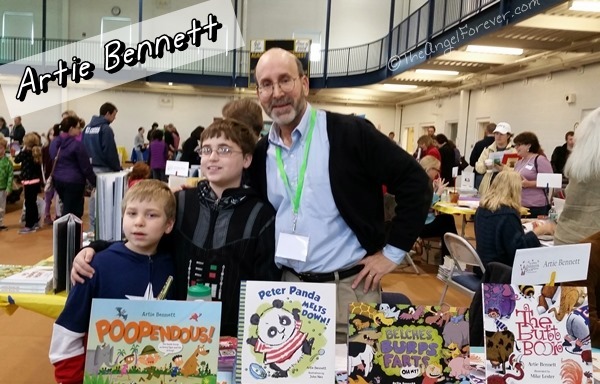 Then I had told them that Artie Bennett would be there and they kept talking about meeting him thanks to our review of his book Belches, Burps, & Farts – Oh My! The kids wanted to find him as soon as we walked in the door. So, we followed the trail and located Artie. He immediately knew my name and blog. Such a kind, funny, and creative man. 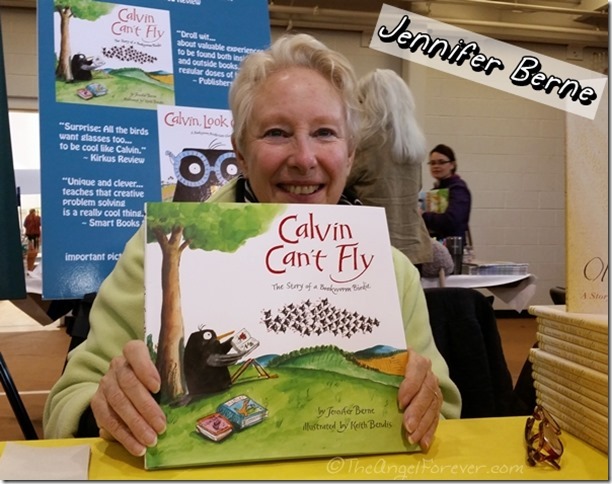 As I finished chatting with Artie, the boys moved along and happened to stop to chat with Jennifer Berne. She is the author of the Calvin books that we have also reviewed over the years. The silly boys had forgotten that we own her newest book about Calvin and his new glasses. I know we are looking forward to more tales with Calvin. As we wandered around, we said hello to illustrator Diane deGroat. She has a great sense of humor and joked with us for awhile. As we moved down the row of tables with more and more author and illustrators, I was pretty sure I recognized someone. Sure enough, I noticed author and illustrator Nick Bruel walk by. That is when JSL was on a mission. 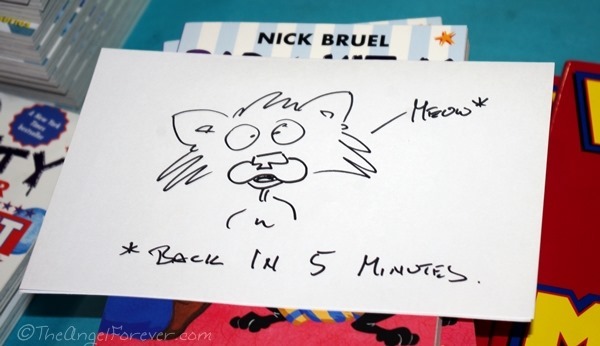 He brought two of his Bad Kitty books to be signed. My shy little guy was so thrilled to be seeing the man that truly inspired my kiddo to read this summer. 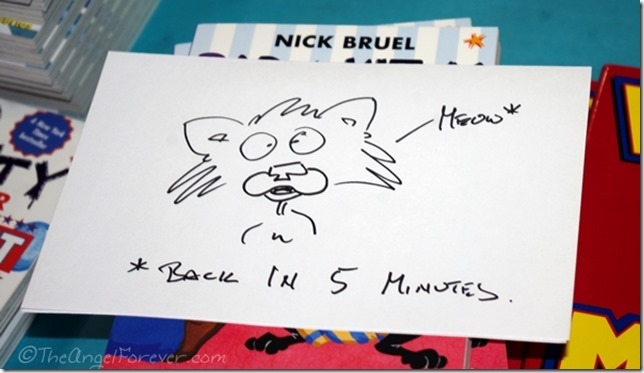 As I have mentioned, JSL was afraid to read chapter books on own until he tried Bad Kitty by Nick Bruel. He devoured that first book in just under 24 hours and finished the series early in the summer. We shared this with Mr. Bruel who was beyond kind and showed JSL the next book in the series that will be coming out in January 2015. Oh and check out the fun sign he put out when he left for five minutes. 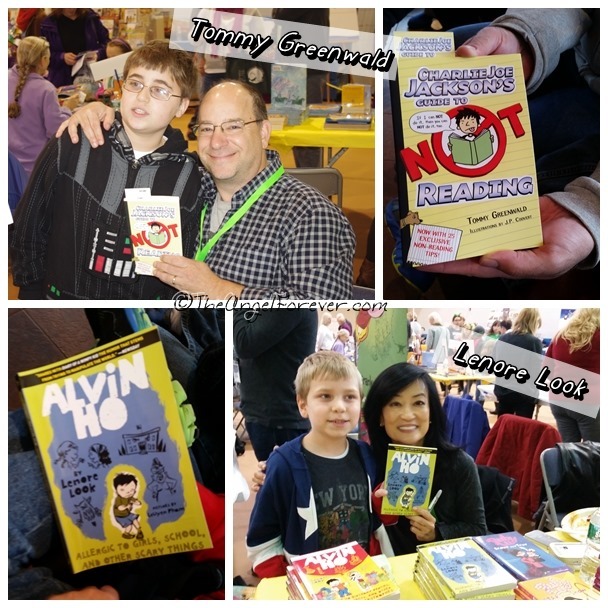 The boys also kept busy meeting new authors and illustrators thanks to a scavenger hunt of sorts for the event. They had specific authors to locate, answer a trivia question, and get an autograph. 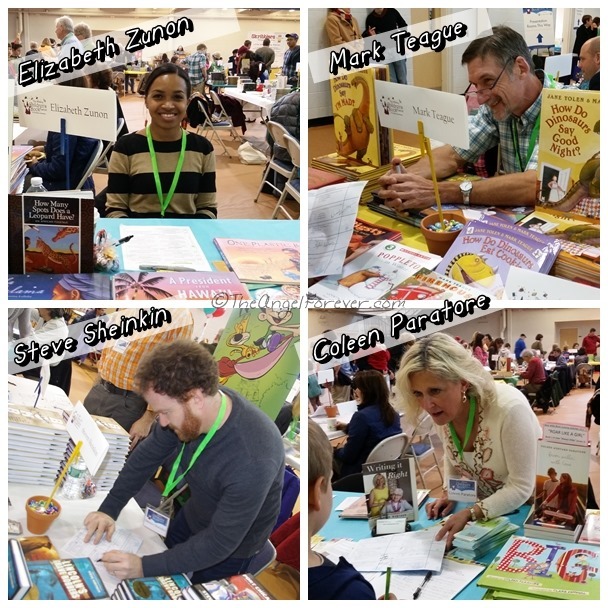 This helped us to meet Gail Carson Levine – Ella Enchanted, Coleen Paratore –The Wedding Planner’s Daughter, Steve Sheinkin – Lincoln’s Grave Robbers, Mark Teague – illustrator of the Where Do Dinosaurs books, and many others. We also learned that my oldest had met Elizabeth Zunon last year when she visited his school. I vaguely recall him mentioning something, but was amazed with this talented local woman. Before heading home, the boys were allowed to select a book to purchase and get signed by an author or illustrator. It took them a bit, but eventually they selected new series to try reading. NHL selected Charlie Joe Jackson’s Guide to NOT Reading by Tommy Greenwald. JSL picked out Alvin Ho: Allergic to Girls, School, and Other Scary Things by Lenore Look. More about these books coming soon because both boys are already reading them and having a hard time putting them down. 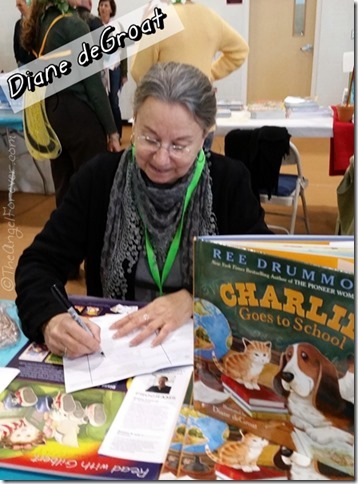 Have you or your children met any of their favorite authors or illustrators? I would love to hear about their experience. As always, Tuesday Tales is all about sharing our love of books. Please let me know what you have read recently. Link up to your book posts in the comments below. Include something you read on your own, with a child, or someone else. 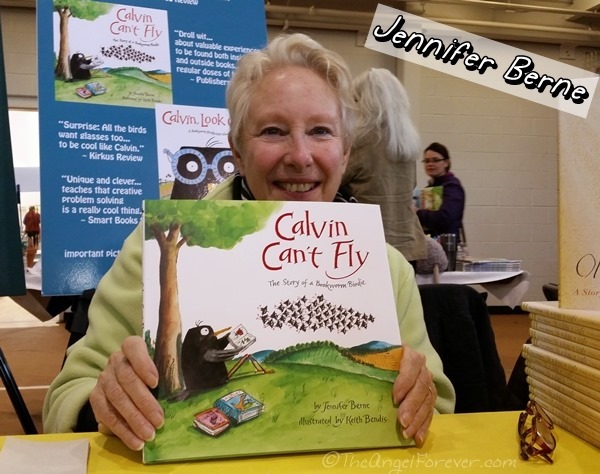 Previous posts about The Albany Children’s Book Festival in April 2013 are The Albany Children’s Book Festival – Part 1 and The Albany Children’s Book Festival – Part 2. What an awesome event! I saw a few of our favorites in the bunch, too. Thanks for sharing this!